I hope you had a lovely weekend. We are still very much lacking a tree here, but my boy and I did make our Christmas cake yesterday morning, which arguably is the more time consuming and messy job out of the two! Plus we’re both huge Christmas cake fans, so it’s nice to have that little job ticked off the list. Nothing better that tea out of a china teacup, and a slice of Christmas cake on a pretty plate. 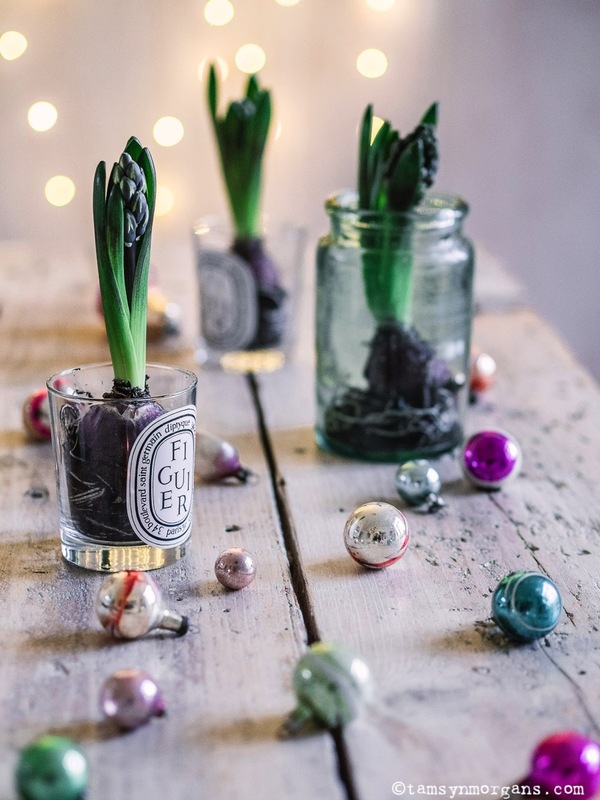 A lovely little tradition that eases me into the festive decor season, is to buy some hyacinth bulbs to pot up at home. 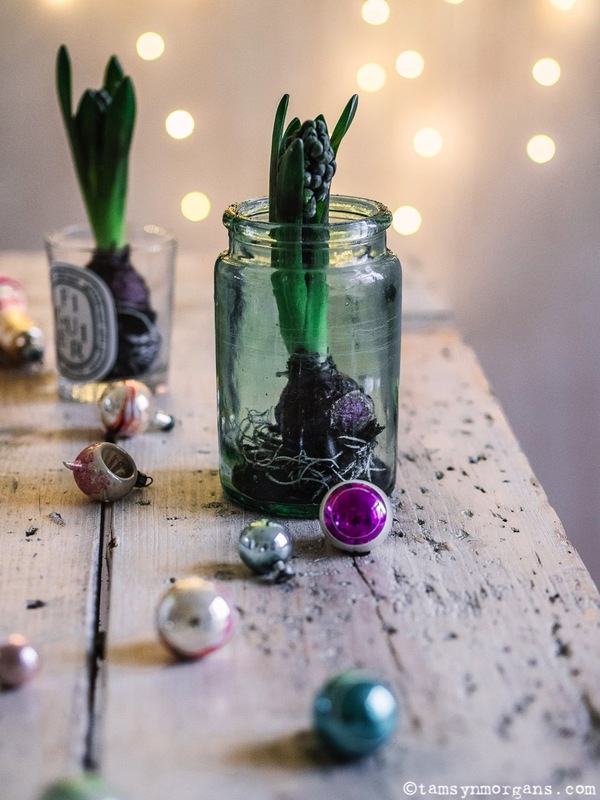 (I’ll link below to some of my other hyacinth bulb decorating ideas.) 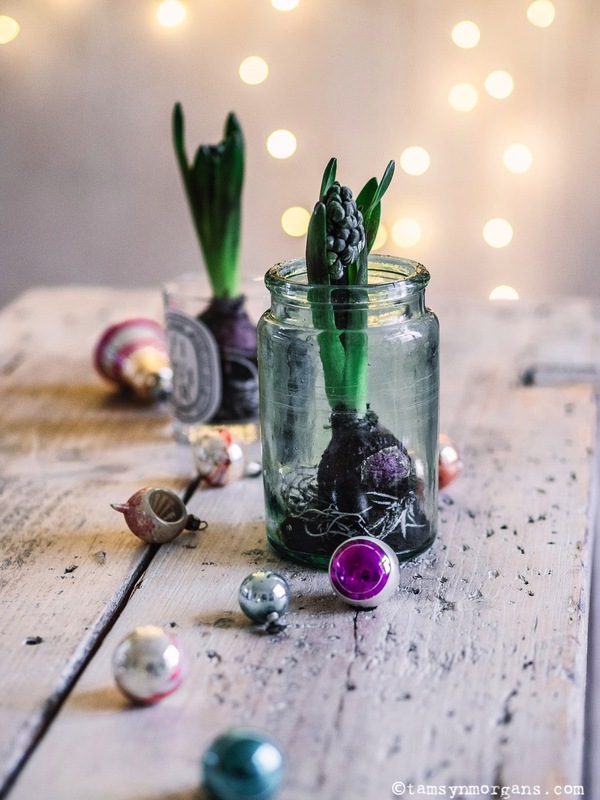 This year I thought I’d try them terrarium style, in glass jars. 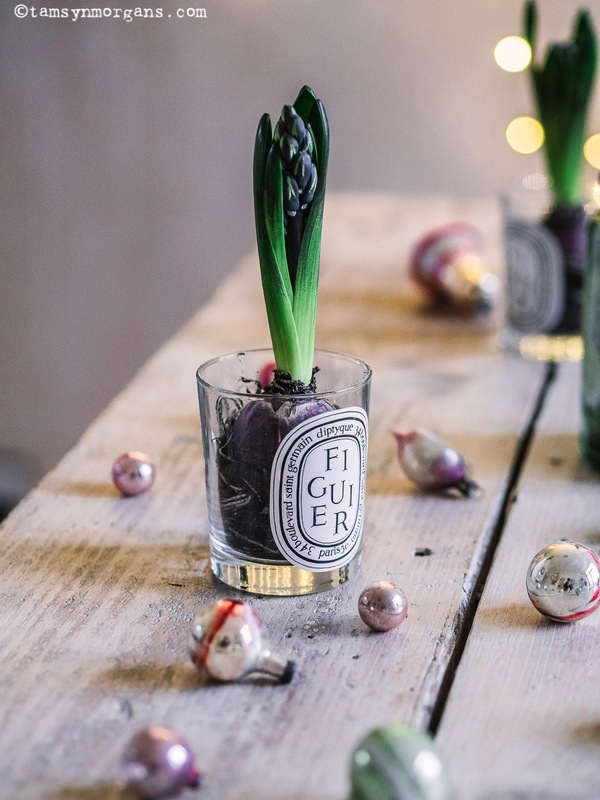 Hyacinth bulbs are pretty easy to find, either at markets or garden centres. 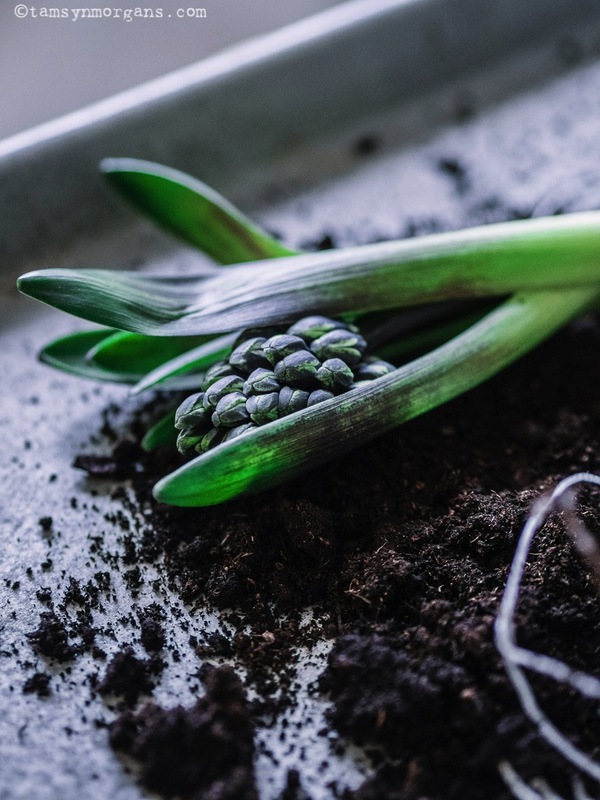 Once they have finished flowering, I always put them out in the garden, so that I can go and have a little forage come winter time, and I always find a few sprouting. I carefully dig them up, and pot them up, simple. 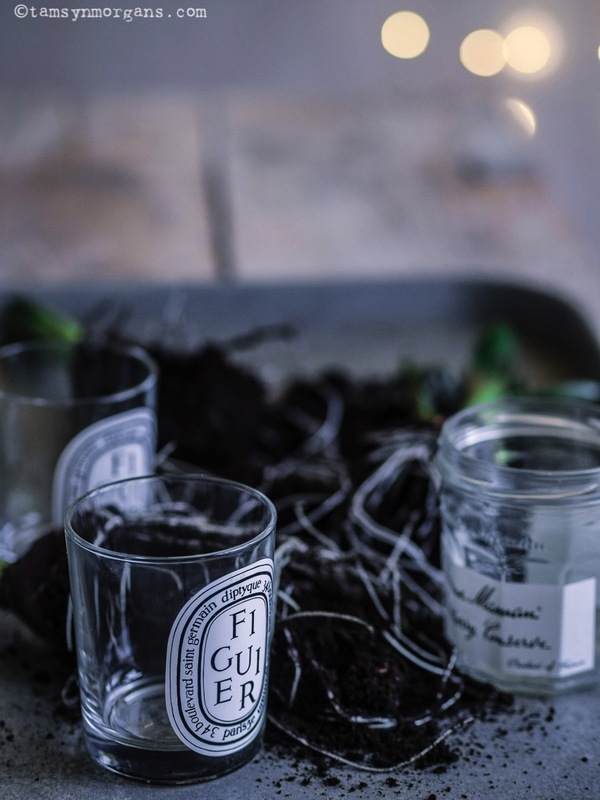 If I plant them in vintage vessels, I quite like to gather some moss from my lawn to place around the base of the bulbs. It looks so pretty. 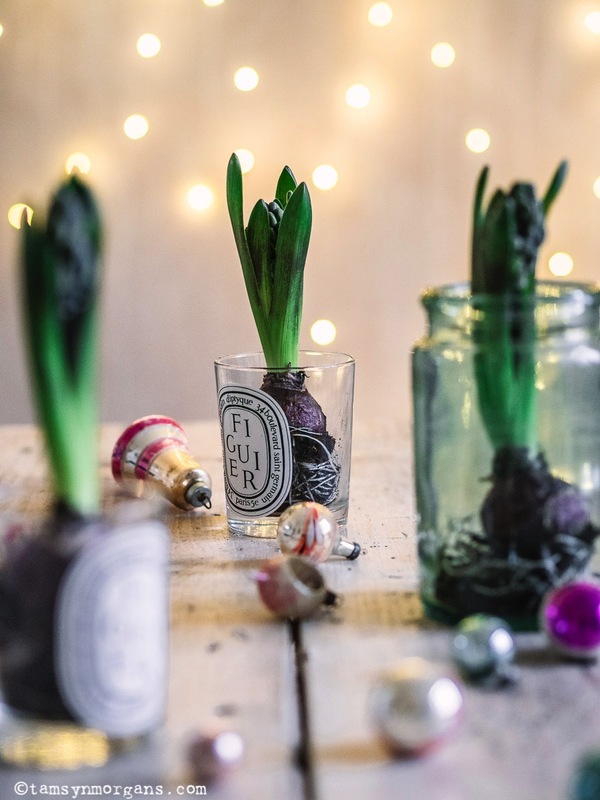 This post is a couple of years old, but it’s still one of my favourites and shows the other sorts of vessels you can plant up with bulbs. And in this post, I used vintage jelly moulds! In other news, as I mentioned in my last post, I’ve finally added the subscribe by email widget, and you can find it at the bottom of every page. I have also set up a Redbubble account, so you folks can buy prints/stationary of my images. I’m still in the process of uploading images, and when I’m happy with it I’ll make more of a thing about it, in the meantime this is sort of a sneak peek! Redbubble is global, so you can order prints wherever you are. You can find my profile here, do let me know if there are any of my images in particular you would like to be able to buy! Right, I’m off to make the most of daylight shooting time, have a wonderful day everyone!